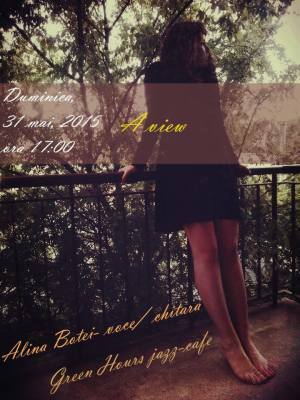 Alina Botei, offering us her View on jazz, blues & original compositions, in a lazy Sunday at Green Hours! "A view " Concert in Bucharest. You can get here description, reviews, address, time and details of "A view " Concert in Bucharest. Visit Bucharest Tips for more Concert events in Bucharest!